Ganapathy has literally burnt his hands while testing propulsion systems. “I had to undergo plastic surgery and was out of action for many months,” he said. “Such things keep happening, but one has to achieve the goal eventually.” In another three years, the Bellatrix propulsion system will be part of ISRO’s satellite system. Work is on at Bellatrix’s testing facility in Coimbatore and R&D centre in Bengaluru. 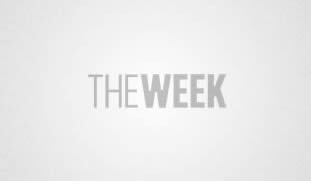 The company is experimenting with electric propulsion systems to extend the life of nano-satellites by almost three times. If this works out, manufacturers could set up nano-satellite constellations, slashing the cost of operations and maintenance. “One of our long-term goals has also been to develop reusable launch vehicles dedicated to micro- and nano-satellites,” said Ganapathy. The space has truly bitten a tribe of the Indian techie. Many of these highly motivated engineers are quitting jobs at reputed MNCs to start companies in space exploration. An example would be Rajaguru K. Nathan, 33, who hails from a farming family in Sivakasi, Tamil Nadu. After topping the district in school and college, Nathan moved to Chennai, where he did an M.Tech in aerospace engineering from the Madras Institute of Technology. Then on to Bengaluru, where he worked as an aerodynamist at General Electric’s John F. Welch Technology Centre for four years. Then, he launched his baby, Aeolus Aero Tech. Aeolus Aero Tech is the first private company in India with permission to access the International Space Station for microgravity research. The company is aiming to develop aerospace testing and teaching equipment in India, and also techniques to do space-based microgravity research. “Our main revenue comes from testing equipment supplies. We are the first Indian company to be selected for a US-based space business accelerator programme,” said Nathan. The company is also technical partner of Abdul Kalam Educational satellite, aka AK Edusat, India’s first student communication satellite. The store-and-forward satellite is funded by NGOs and supported by retired ISRO scientists. The satellite will receive course material from ground stations and beam it to digital libraries nationwide. IGNITE MODE: Divyanshu Poddar talking to schoolchildren./ ROCKETEERS INDIA- Trains school and college students in the basics of rocket sciences. Nathan said his dream is to trigger curiosity about space among schoolchildren countrywide. “Experiment, experience and build expertise is our concept,” he said. “We are currently supplying aerospace testing equipment to academics and research labs. We have helped establish more than 150 aeronautical labs all over India.” The company now supplies lab equipment for the following sectors: aerodynamics, propulsion, structures, space communication, satellite makers, flight demonstration and drones. Nathan said the company’s product line can help schools and colleges build their own satellites. Aeolus Aero Tech is more than an office to Nathan, whose wife Lalitha, is the co-founder of the company. Like her husband, Lalitha, too, quit a promising IT career to bet on space. The postgraduate in mechatronics was employed with Cognizant Technologies earlier. Family support has been crucial for many of these entrepreneurs. Divyanshu Poddar, 27, founded Rocketeers India with his own money and a little help from his family. The Bengaluru-based company trains school and college students who want to excel in rocket sciences. Teaching aids range from medium rocket models to technology-enabled platforms. 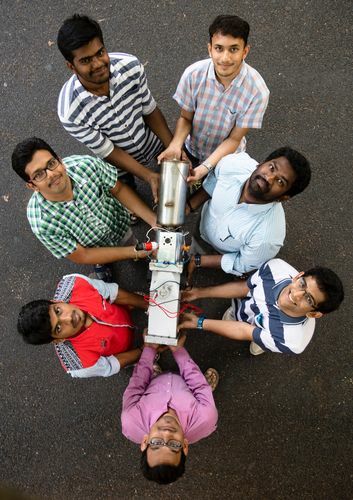 WATER IS FIRE: (Clockwise from bottom) Saurabh Nerkar (in pink), Rajesh N., Yashas Karnam, Vivek M., Roshan M., Saagar M. and Arun R./ BELLATRIX AEROSPACE- ISRO is interested in their water-powered, electric propulsion system for satellites. Poddar said the private players in space research are looking for talent with basic skills in the field. “Our courses help students have a first hand experience in rocket sciences through rocket models and systems. We have developed working models for schools and colleges,” Poddar said. Rocketeers has also developed reusable sounding rockets. Poddar, who hails from a Marwari business family in Ludhiana, Punjab, did his schooling at The Scindia School, Gwalior, Madhya Pradesh. He did his higher secondary in Delhi and cracked the entrance exam to the Indian Institute of Space Science and Technology, Thiruvananthapuram. “This was a government-run institute, and the majority students are absorbed by ISRO,” Poddar said. But, he opted not and set off down the entrepreneurial trail. Currently, former ISRO scientists are helping the company understand new technologies in space sciences and incorporate them into their training programmes. In two years, the company has worked with about 10 colleges and 40 schools. It has taught about 45,000 students, with around 5,000 of them going through complete workshops and flying more than 12,000 model rockets in total. “Our model rockets are powered using solid black powder fuel. We are the only ones in India doing this on a structured level,” claimed Poddar. The company has acclaimed mentors handling its programmes. For example, the quality for space is mentored by Dr B.N. Suresh, a retired ISRO scientist, space law and policy by Dr Ranjana Kaul, Rocketeers Fellowship by Dr K. Kurien Isaac, senior professor, IIST, and so on. At the same time it is also imparting executive and entrepreneurship courses in collaboration with IIST, and skilling and training programmes with other companies like Bellatrix Aerospace. The dynamism of space entrepreneurs can be seen in their variety of applications. For example, Bengaluru-based SatSure is a satellite data analytics company supporting financial services in the agricultural sector. Co-founded by serial entrepreneur Abhishek Raju and four other technocrats, SatSure uses artificial intelligence and image processing algorithms to interpret historical and current satellite imagery. Checked against other data sets like weather, the interpretation provides accurate crop yield estimates, crop yield risk and crop pricing risk. “Our advanced analytics can be used by crop insurers and re-insurers for claim settlements and setting risk premiums,” Raju said. The same solution, he said, can be used by banks for creating farmer credit risk ratings, and by traders for hedging financial risks. After starting off SatSure, Raju moved to Dhruva Space in Bengaluru, founded by Narayan Prasad, 30. The space bug bit Prasad after he graduated in mechanical engineering from Jain University, Bengaluru. So, in 2012, he founded Dhruva Space. An Erasmus Mundus SpaceMaster graduate and an EGIDE scholar, he holds multiple postgraduate degrees—space technology (Sweden), space techniques and instrumentation, (France), and space and telecom laws (NALSAR Law University, Hyderabad). He had also worked on different projects at the Indian Institute of Astrophysics and the DLR Institute of Space Systems, Germany. Prasad said the encouragement from his parents, who were Central government employees, was crucial. “They know that all space projects are long term.... They supported me fully despite money not coming in immediately. I am happy they understood my passion for space sciences,” Prasad said. Before Dhruva Space, Prasad had co-founded Sat Search, a search engine that indexes all products and services within the space industry. “Currently the entire space industry is compartmentalised and each ecosystem seems to self-serve its needs. For instance, the European industry is rallying around limited space agencies. Similarly, industry ecosystems such as the one in India or Russia act similarly, self-serving needs within the national priorities.” He said Sat Search was set up to help small and medium businesses and startups reach far markets. TeamIndus is one of the frontrunners for the Google Lunar XPRIZE, a global competition between privately funded teams to land a spacecraft on the moon by December 2017. The Bengaluru-based startup is one of the five teams left in the race. TeamIndus began in Noida, and later shifted to Bengaluru. At the Bengaluru office, THE WEEK met Nirmal Gadde, 26, who after graduating from IIT Kharagpur in aerospace engineering joined TeamIndus and worked without salary for months together. “I wanted something like this to happen from India,” Gadde said. “I thought that I should be part of this mission and cannot miss it. Hence, it was not the money but sheer passion that drew me to this company.” Gadde, who hails from Guntur in Andhra Pradesh, is designated Jedi Trooper at TeamIndus. Kumar said Chandrayaan II, which is scheduled for launch in early 2018, had many sub-systems developed by private players. 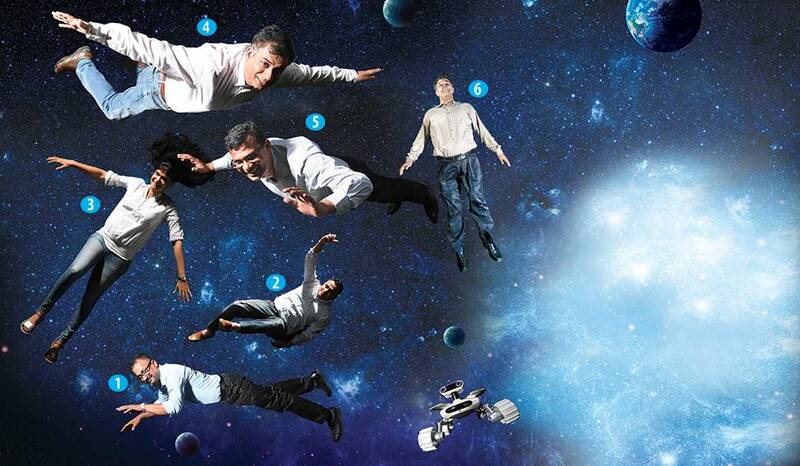 The chairman’s dream is one launch every month, and he is banking on India’s new tribe of space entrepreneurs.